AI CONNECT Conference is Silicon Valley’s only AI technology and application collaboration conference. 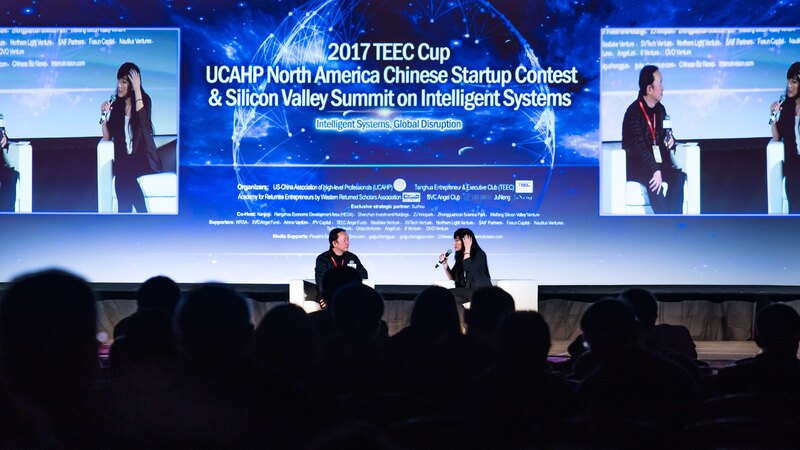 Each year, the event attracts more than 3000 attendees including more than 500 startups and more than 100 intelligent systems academic and industrial leaders as speakers. The annual North America Startup Contest, as an important session of the conference, started in 2010, and now it has welcomed its 9th year. The contest has become a signature event in Silicon Valley for startups from different countries to showcase their projects, get valuable feedback, and gain growth opportunities including funding and partnerships. Royole Tech (the world’s thinnest flexible display) received VC funding for growth after winning our contest, now the company is valued at about $3b. PayEgis (online transaction protection) just received $150m in investment. Zoom (video conferencing) raised $100m from Sequoia on billion-dollar valuation. Orbeus (Artificial intelligence), acquired by Amazon. GetScale (smart manufacturing, a YC Startup) received free office spaces from Suzhou, Qingdao, and potential funds from Suzhou. Other success cases include Taste Analytics (Big Data), Smarking (Smart city, YC, Khosla Venture), Trustlook (Mobile Security), VisualThreat (Car Security). RippleInfo (Smart Home), Acton (Electric Shoe/Bike/Board), Car+(HUD), GogglePal(AR), BeeCloud(Payment), PervasiveGroup(Mobile), Corenergy(Power), Handscape(Touch), Aptitude(Bio), Allmobilize (mobile solution), DataCanvas(big data), Inpofi (Wireless Charging), Ciyu (MRAM), Dewmobile(wireless), Jiurun(Battery), Menusifu(Digitize Restaurant), LearningGenies(Education), Palmap (Indoor Map, IPO), vCruise(Gaming), Netplenish(Online Shopping), MusicProdigy(Music Learning), OneSky(Translation), Mugeda(Html5), AppEx(Networking), Lyxia(Algae Oil), Autotiming(AV platform), Zplas(Clean Tech), MicroFluidics(Bio), Bandwidth10(Optical), Vibronix(Medical), NexOptical(VR), Onecook(Robotics), Robokind(Robotics), and more. Information Technology, AI, VR, new materials, new energy, manufacturing, Biological medicine and equipment, Integrated circuits and systems, Optoelectronics, artificial intelligence, big data, cloud computing, mobile Internet, networking and so on.